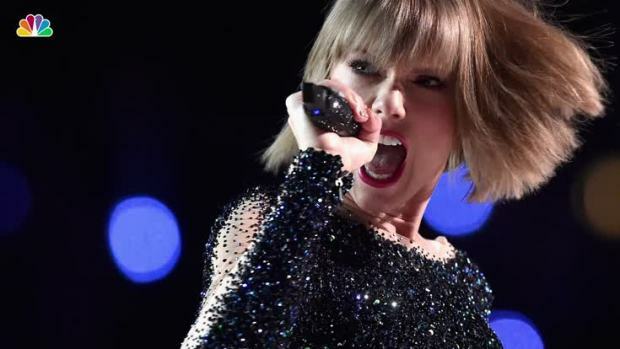 Taylor Swift won $1 and long-awaited vindication Monday after a jury decided in a civil trial that a radio host groped her during a pre-concert photo op four years ago. After a weeklong trial over dueling lawsuits, jurors determined that fired Denver DJ David Mueller assaulted the pop star by grabbing her backside during a backstage meet-and-greet. Swift hugged her crying mother after the verdict and reiterated how she wanted to stand up for other women. "My hope is to help those whose voices should also be heard," the singer said in a statement, acknowledging her ability to afford attorneys to defend her in court. "Therefore, I will be making donations in the near future to multiple organizations that help sexual assault victims defend themselves." The six-woman, two-man jury also found that Swift's mother and radio liaison were within their rights to contact Mueller's bosses about the groping. Mueller sued the Swifts and their radio handler, Frank Bell, seeking up to $3 million for his ruined career. At the end of the trial, the judge dismissed Taylor Swift from Mueller's lawsuit, saying he failed to prove that she sought to get Mueller fired or had any reason to believe that someone else may have assaulted her. "I've been trying to clear my name for four years," Mueller said after the verdict. "Civil court is the only option I had. This is the only way that I could be heard." The singer-songwriter said in her countersuit that she wanted a symbolic $1. From the start, Swift's side portrayed the encounter as a clear case of sexual assault, though they never reported it to police. Her mother tearfully testified that she asked Bell to reach out to Mueller's employers at country station KYGO-FM instead because they wanted to handle the matter quietly and avoid exposing the singer-songwriter to publicity. Bell contacted a station vice president and asked for an investigation of Mueller's conduct. He also sent the station executive a photo taken of Swift, Mueller and Mueller's then-girlfriend at the meet-and-greet. In an hourlong stint on the witness stand last week, Swift blasted a low-key characterization by Mueller's attorney, Gabriel McFarland, of what happened. While Mueller testified he never grabbed Swift, she insisted she was groped. That photo was virtually the evidence besides the testimony. In the image shown to jurors during opening statements but not publicly released, Mueller's hand is behind Swift, just below her waist. Both are smiling. Mueller's then-girlfriend is standing on the other side of Swift. 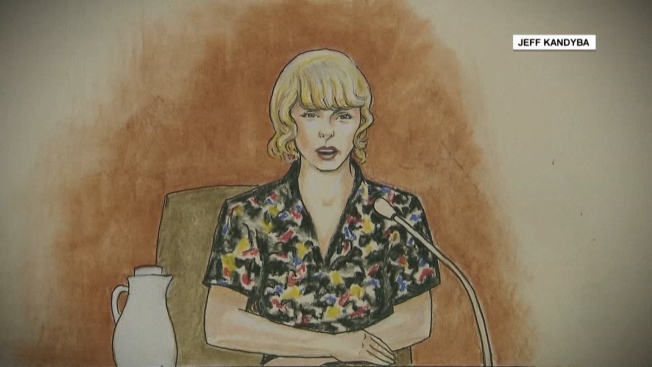 "We absolutely wanted to keep it private, but we didn't want him to get away with it," Andrea Swift testified.